The Layla Pillow was released about a year after the Layla Mattress. The pillow uses the same great Copper Infused cover as the mattress. 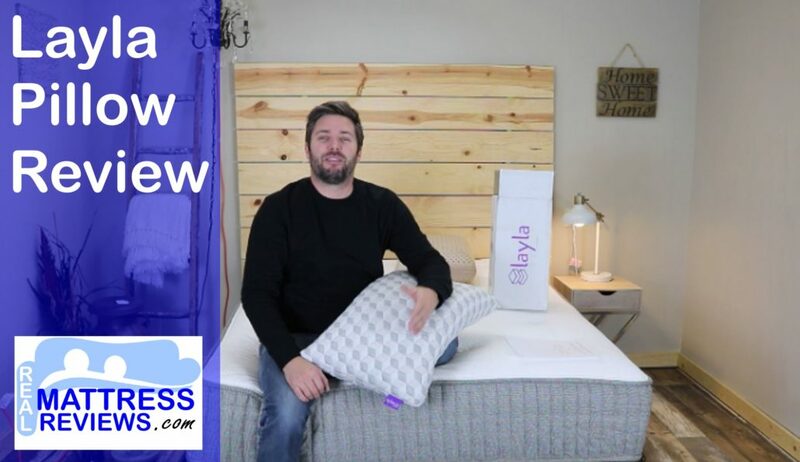 The Layla pillow fill is an industry first mix of natural Kapok fibers and premium reactive memory foam for a good balance of softness and support. Kapok fill is made from the fibers in the seed pods of Kapok trees. Kapok is natural and free from pesticides and other nasty chemicals typically used in mass crop production. What I really like about this pillow is that it has the memory foam feel and support while allowing you to move the fill around depending on what position I am sleeping in sometimes I like it thinner. Depending on my sleeping position I like to shape and adjust the pillow fill accordingly. The Layla Pillow allows for that vs a solid foam core pillow. It should appeal to more people being that you can do this. Some foam core pillows tend to be too thick for me so its nice to be able to move the fill around vs a foam core where its a set loft. Many of the shredded foam pillows on the market use a denser foam which doesn’t have as much bounce. They Layla has a lighter, fluffier feel I am not sure if the Kapok fibers assist with this or if the memory foam is lighter. Either way it has a good feel and supports your neck well. Shipping – free shipping, it arrives compressed in a box. Typically 4-5 business days. Layla launched in 2016 with a mattress. The pillow was added recently and it uses the same great materials and cover as the mattress. Layla was one of the 1st brands to offer a lifetime warranty on their mattress. Overall they have great customer service and many happy customers. Overall this is a great pillow for the price. Especially if you are buying a mattress too. I like shredded foam pillows vs solid foam core pillows for the reason of being able to move the fill around depending on my sleeping position. If I am on my stomach I like to thin down the corner and sleep on the corner of the pillow for instance. CONS: Only offered in the Standard/Queen Size. Also no zipper to be able to remove fill if you thought the loft was too high. Most people should not ave an issue with this however. The loft is just about perfect for most sleepers.